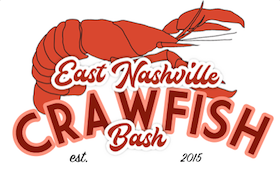 The East Nashville Crawfish Bash is back for the fifth year, and bigger than ever! Celebrate the thriving East Nashville community through food, art, and music with this free, family-friendly event at East Park. Featuring local food and art vendors, breweries and distilleries, and of course a musical lineup stacked with genre-spanning regional acts, the East Nash Crawfish Bash has something for everyone, even the dog! Come out and enjoy the best of Nashville! VIP tickets will be available for purchase at a later date. VIP tickets guarantee that you get crawfish. We have sold out of crawfish every year so we encourage everyone to buy tickets ahead of time. Please be sure to claim your VIP tickets by 3pm to ensure that you get crawfish before it sells out.